No matter how bad the situation or when it occurs, 911 Restoration Los Angeles is available 24/7/365 in order to serve your needs whatever they may be. Water damage can happen even in a drought due to plumbing leaks, ruptured hoses, or the dreaded toilet overflow. If your real estate has been flooded, our water damage Northridge specialists can help you restore your property. 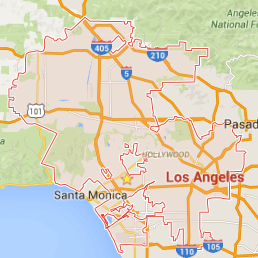 Northridge was once called Zelzah, and North Los Angeles after that. Today, we stand as Northridge, a community with an acclaimed state college, CSUN, and many positive aspects for families, from parks, to shopping malls. We understand that you appreciate your home and all of the hard work that goes into maintaining a beautiful community. Therefore, we pledge to give you top-notch restoration services all year long. We are licensed, insured, and bonded with years of experience in water damage restoration services, so you can be sure you’re in capable hands. Call our water damage Northridge team with 911 Restoration Los Angeles so that we can repair your plumbing and show you the signs of leaks today! 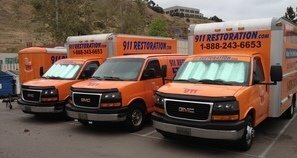 911 Restoration Northridge should be contacted to handle any water extractions because our water damage pros have the latest drying technology and mold remediation techniques to clear up your home and make it safe again. In order to locate the signs of leaks, request a free inspection from our water damage Northridge experts because we can find old plumbing, cracked roof tiles, and broken window seals. Standing water accumulating around your house is a sign of two problems. First, your drainage system is not working properly. All gutters should move water at least 10 feet from your property. If, by some miracle, this is rainwater, you want to clean out your downspouts. If this is a sewage issue, call our professionals right away, as there could be deadly black water involved. Water stains are another telltale sign of a leak. These can appear anywhere water is dripping. Look for stains on carpets and drywall. 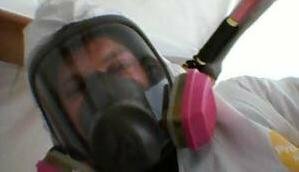 If you find one, chances are you have a hidden leak and a mold infestation. As storms are rare in Northridge, your plumbing is where you want to focus your attention. A sewage back flow valve can prevent returning water from bubbling into your home. Ruptured hoses can be avoided by replacing old appliances. 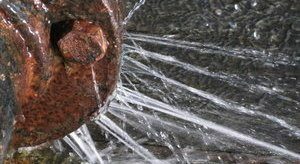 As soon as you notice water leaking or building up anywhere around your home, it’s vital to seek assistance right away. We respond to calls within 45 minutes so you can count on same day service. We value professionalism, and we won’t stop until your home is restored and back to normal again. Contact our water damage Northridge experts now so that we can show you how to avoid flooding. In order to avoid flooding in your home or business, our water damage Northridge staff recommends you take a couple preventative steps, beginning with making sure your grounds are properly landscaped to assist with water drainage. A slope built slanting away from your property allows water to run to the street, instead of the building. Sump pumps will start pumping water out as soon as the level in your home rises to a certain point. One of the benefits about 911 Restoration Los Angeles is that, if water accumulates in or around your real estate, we will quickly resolve the situation. Call us to mitigate a disaster. You need to call our water damage Northridge technicians as soon as possible to mitigate a disaster, because the faster you call, the quicker we respond, and the sooner your property is livable again. We offer the latest drying technology and water removal, and bring you the peace of mind you need from a disaster restoration company. Our company proudly maintains an affordable price by working with all insurance companies. 911 Restoration will always put the customer first. Let us restore your property today. Call our water damage Northridge experts with 911 Restoration Los Angeles now for all the help you and your home require to get back on track today!